In Glasgow there is a buzz right now! It's one that's been largely cultivated by scene protagonists Slam and their Soma records label, helping to inspire their city to become a worldwide party capital and a hotbed of talent unique to the UK. Techno can be found in it's myriad forms. The lifeblood coursing through it's veins. A unique sound which reverberates through the speakers during Slam's Sub Club nights and at their Pressure parties, housed in the cavernous confines of the Arches beneath Glasgow's Central Station. In fact the list of venues and nights dedicated to the gene is vast, from Animal Farm to the warehouse parties at SWG3 and beyond. Hot on the heels of their critically acclaimed 'Reverse Proceed' album 'Transmissions : Glasgow' sees Slam's Orde Meikle & Stuart McMillan proudly presenting a special album release centred around the gifted artists of their home town, documenting the burgeoning scene. The pair have utilised their skill and experience as DJS, producers and label owners to pull together 15 tracks, by an assortment of producers who call the city their home. Alongside Slam the album features renowned local artists Gary Beck, Clouds, Harvey McKay, Edit Select & Hans Bouffmyhre, shoulder to shoulder with some more recondite talents. It starts with the subtle, ethereal tones of Edit Selects 'iN1' which guides us gently into the sonically blissed-out groove of Puddledub's 'Circling'. Then Dextrous takes us on the journey into a futuristic world soon followed by Complex Emotional Responses 'Decay Constant', which picks up the pace with it's deep, pulsing, sequenced tones set behind a veil of evolving pads and reverb-soaked percussion. Another new addition to the Soma roster, Deepbass takes things down an altogether darker pathway with 'Themis', saturated in sub-bass and drenched with hypnotic rhythms, creating the perfect foundation for Edit Selects second offering, with his signature sub-dimensional hypnotism swelling like a tidal wave on 'Resurface'. Next Petrichor appears boldly, with an analogue beast as chugging drums are sliced with melancholic synth hooks on 'State Function' followed by Harvey McKays Alpha4 which lashes in with dark, sullen rhythms and thrashing percussion. Polish born, Echoplex, with years of service to the cause, also makes his Soma debut with 'The Glass Test', a dark, grime-laden beat spruced perfectly with chopped vocals and subtle melodies. Slam weigh in heavily with the electromagnetism of 'Friction', oscillating furiously and alight with high-energy percussion. Techno tourist Gary Beck drops the wild 'Tomorrow You Know', splashing big percussion and drops left, right and centre. Another of Somas recent signings (under his Secluded guise) is Hans Bouffmyhre, who holds nothing back with the fiery 'Right Of Passage'. Then the undisputed luminaries of Glasgow Techno combine for 'Pressure Lights' as Slam & Gary Beck give a nod to the city's premier party and it's jaw-dropping visual element. Complete with ferocious, driving drums interspersed with crazy snare rolls, this is most definitely red hot! 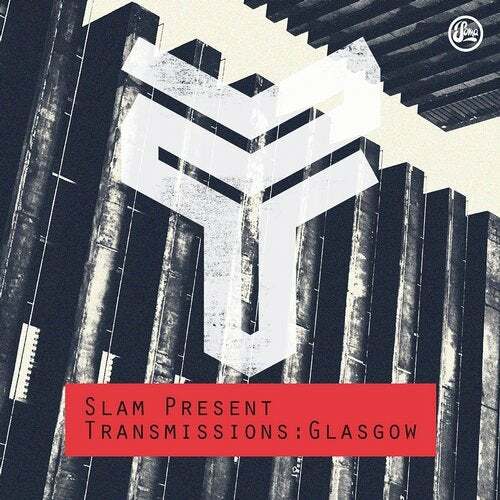 Transmissions : Glasgow' comes as Soma approaches the 25th year of it's epic journey and demonstrates why the cutting-edge Glasgow label remains in the vanguard of musical innovation with it's continued commitment to the future.